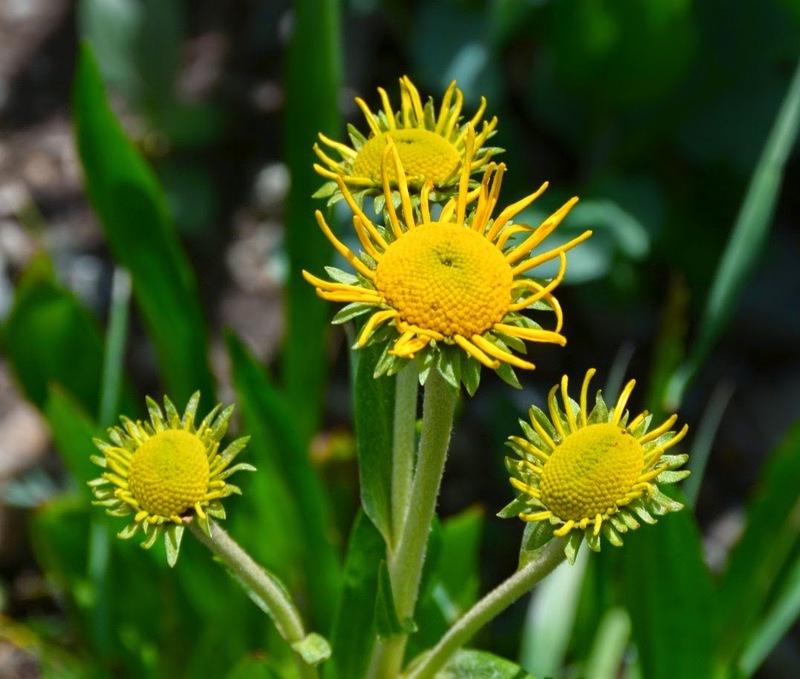 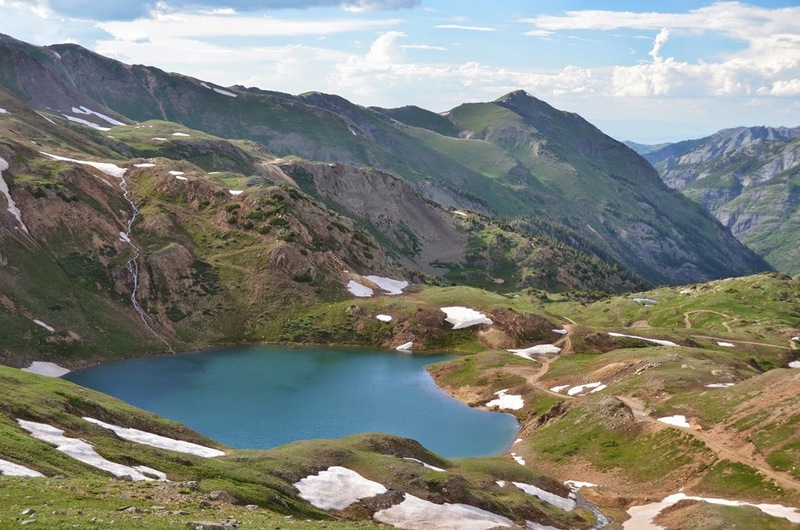 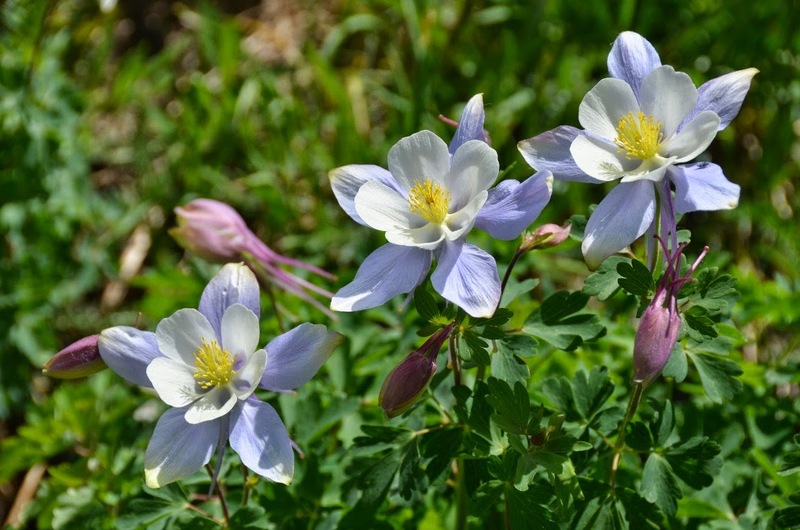 Sun To The North: Colorado Expedition: Wildflowers in the High Country! 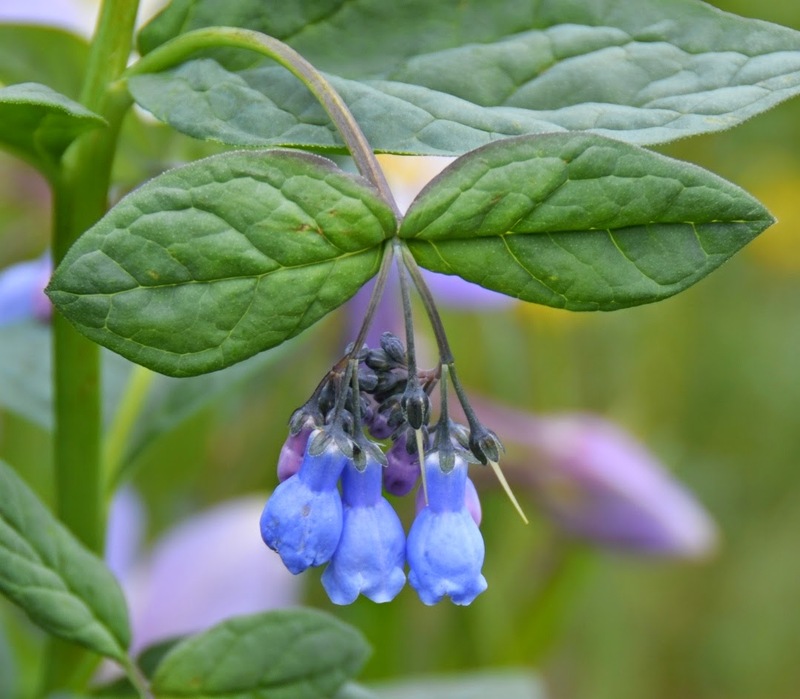 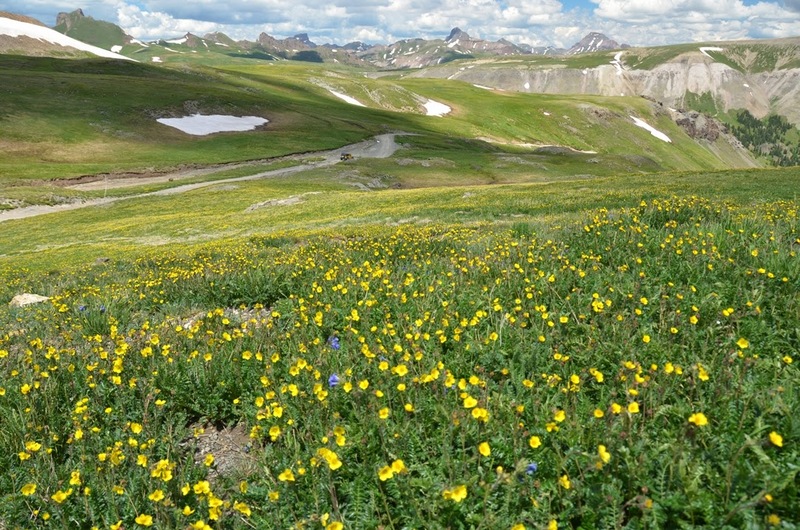 Colorado Expedition: Wildflowers in the High Country! 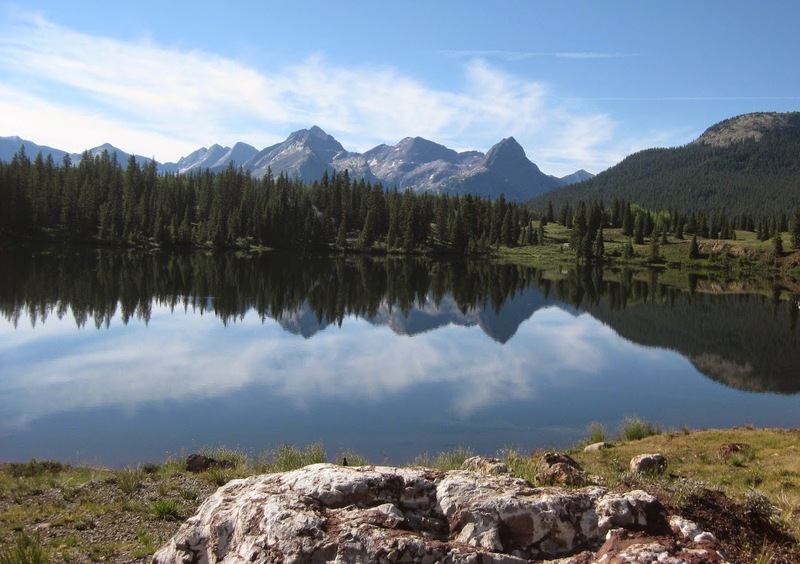 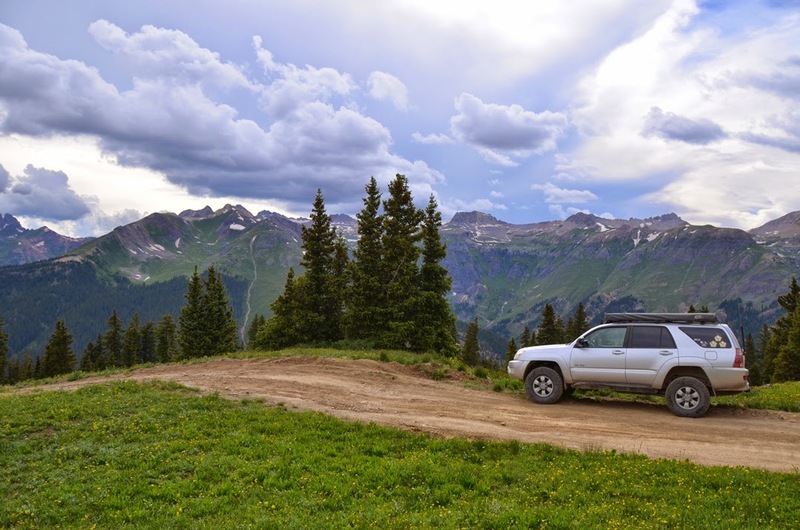 July is the perfect time to go four wheeling in the mountains of Colorado and immerse yourself in the spectacular scenery and riot of dazzling wildflowers. 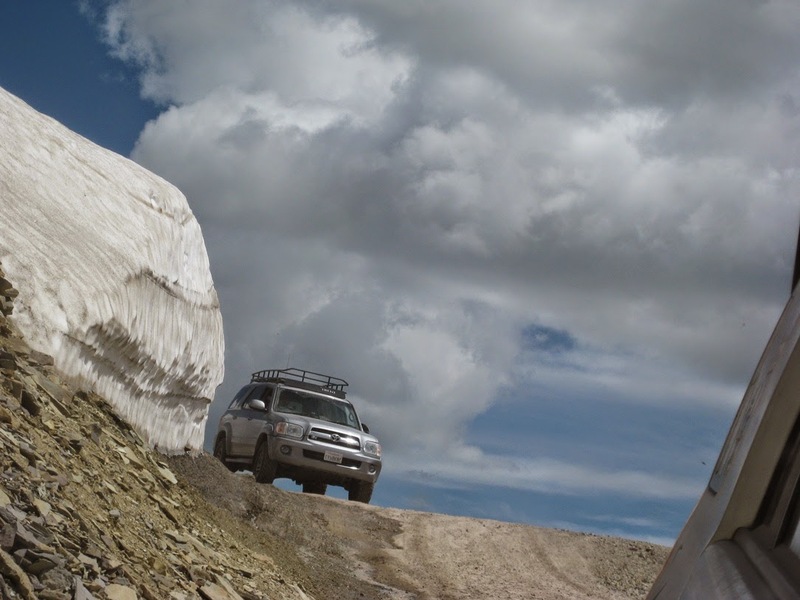 Head out with me as I take the truck and the expedition trailer to some new heights. 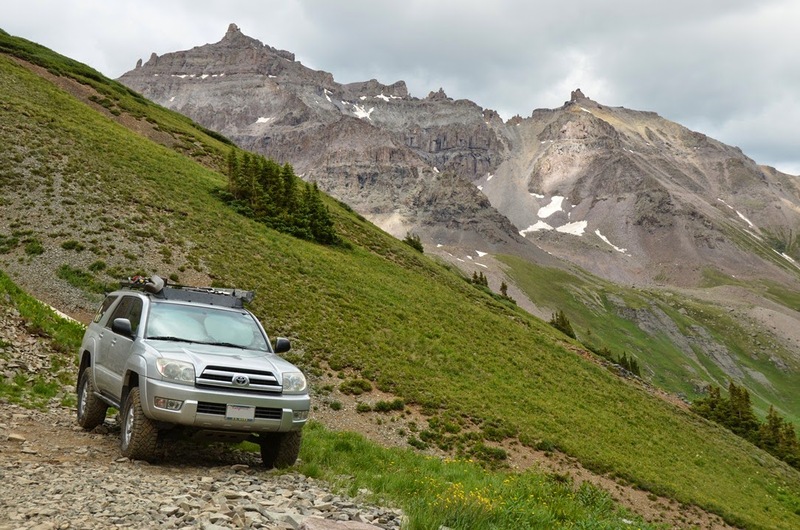 Just the thought of exploring the steep trails of Colorado had always excited me. 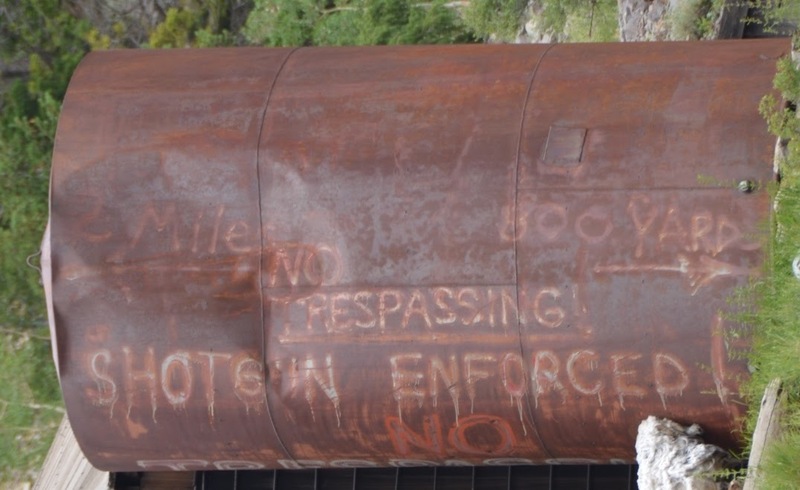 Just imagine heading onto a dirt road, locking in 4WD and coming upon this sign and this scenery! 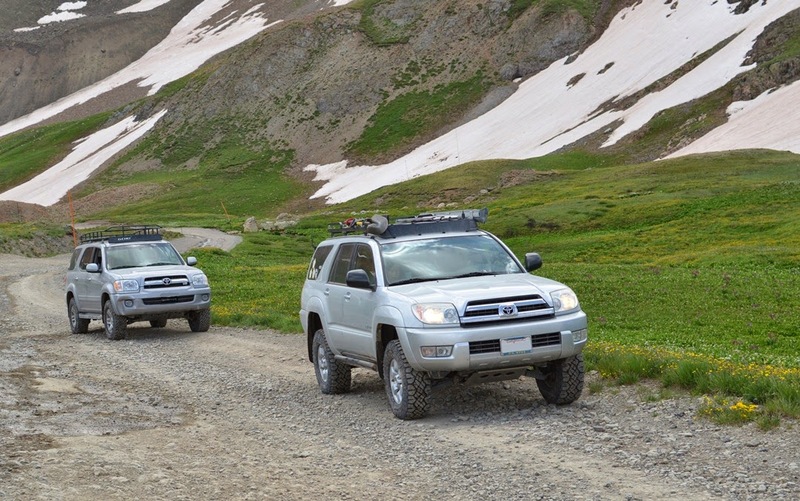 What better siren call to lure an adventurer to sally forward? 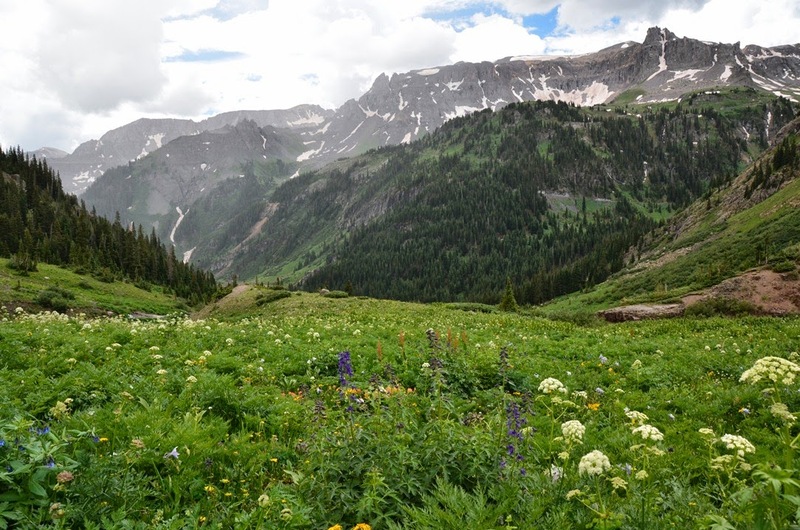 All along the road, on the mountainsides, in the fields and overflowing the meadows are wildflowers nourished by snow melt from the previous winter's lusty storms. 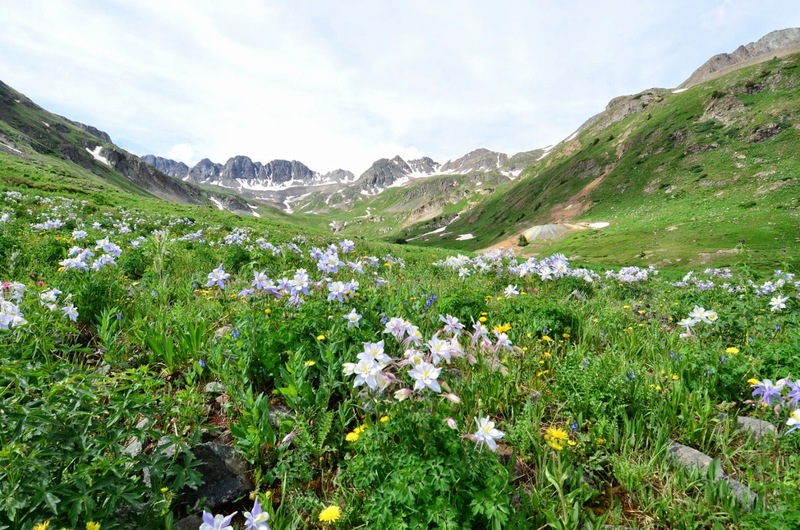 These alpine tundra blooms are framed perfectly by the high peaks and blue skies that surround the seemingly endless vistas. 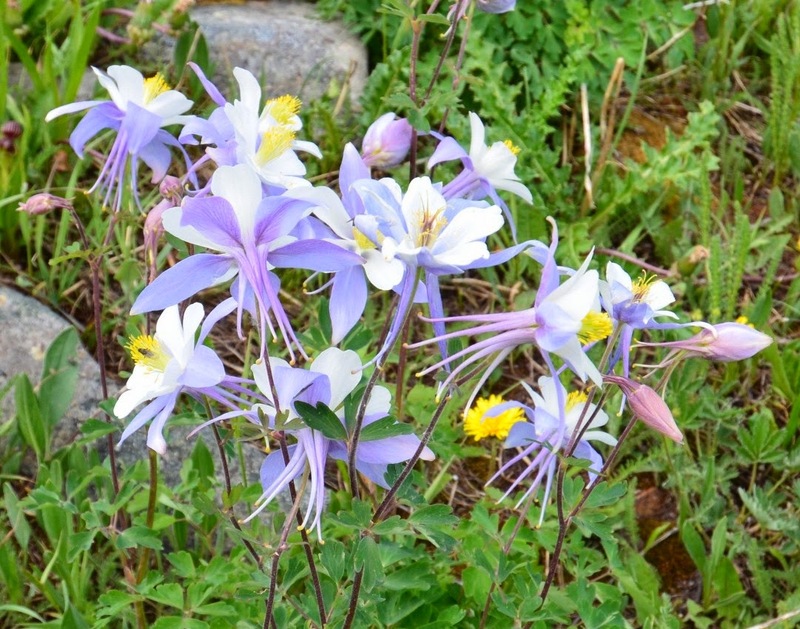 It is hard to resist getting closer to each bloom to marvel at the variety of shapes and brilliant colors. 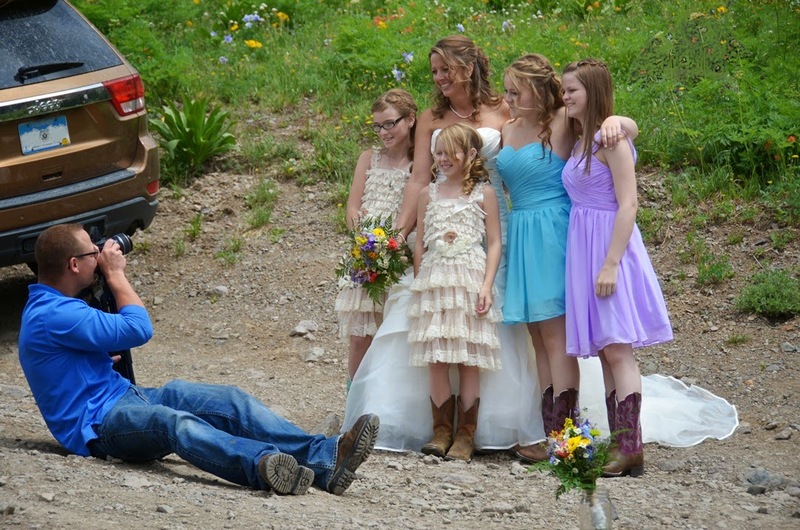 The high meadows are popular for weddings and there is no need to order flowers! 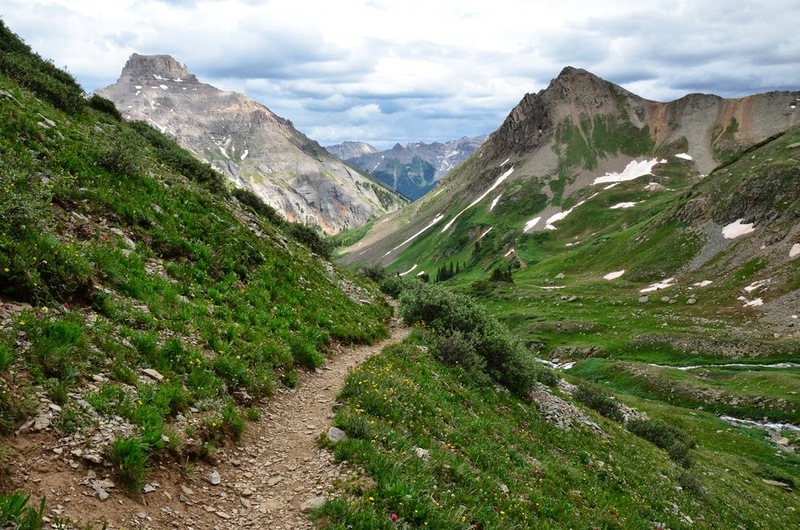 Sometimes you would want to escape even the distant sight of people by going for a stroll along a winding path. 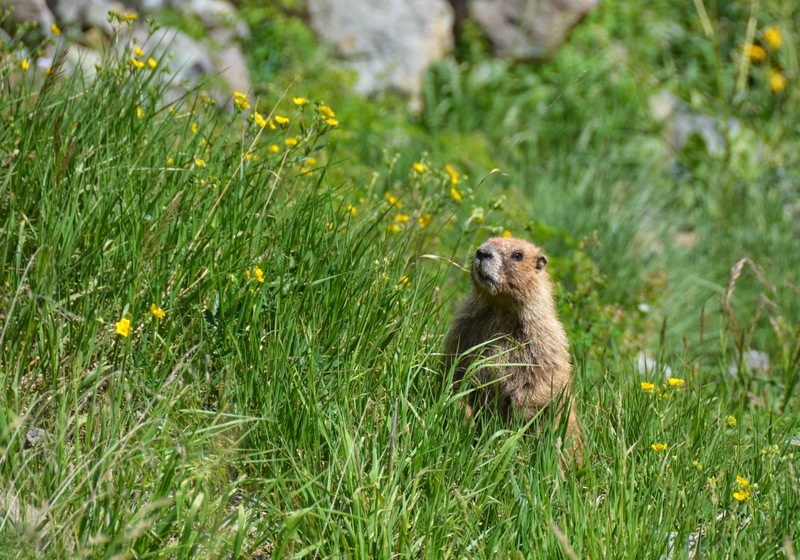 You still never had complete solitude as the local varmints kept a wary eye fixed upon you! 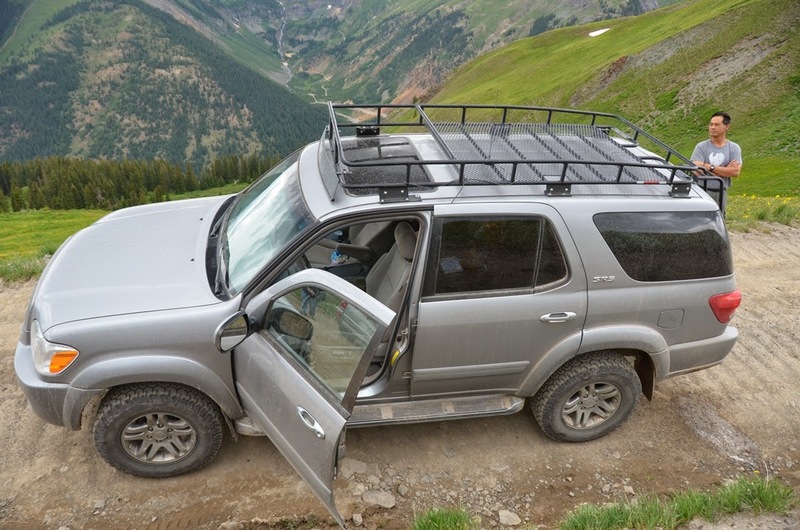 At the end of a hike it was always great to have the 4Runner ready to transport me to the next far away vista. 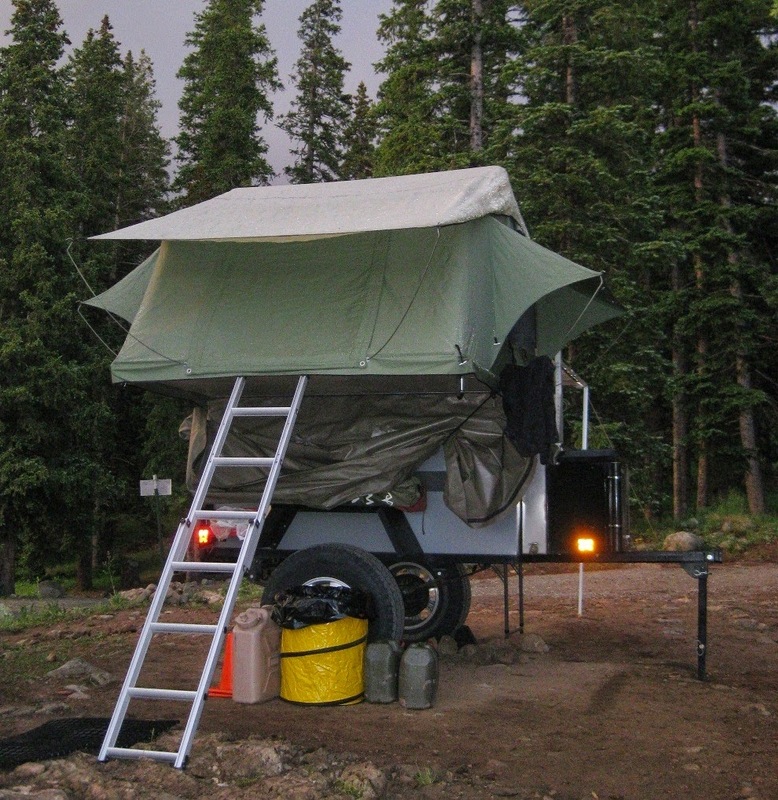 Meanwhile back at the base camp the trailer endures a local rainstorm where it was set up next to an alpine lake. 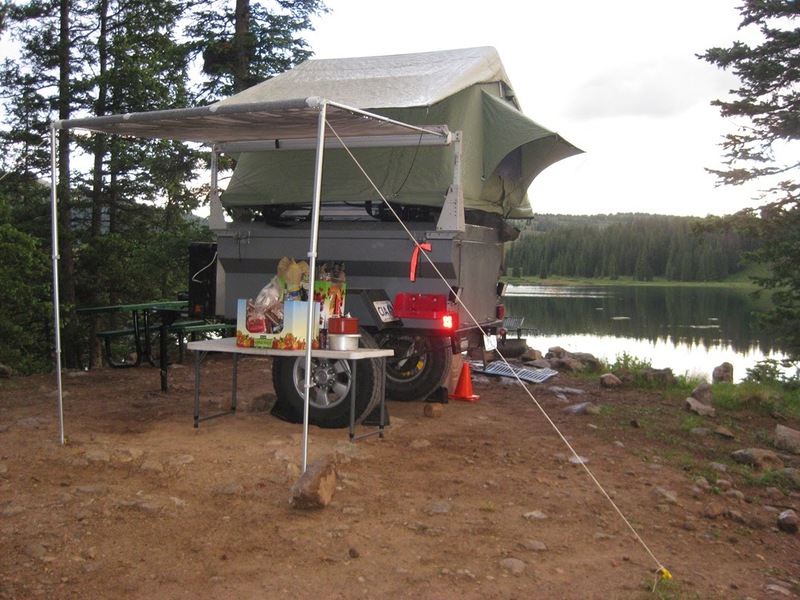 Here is the view from the trailer! 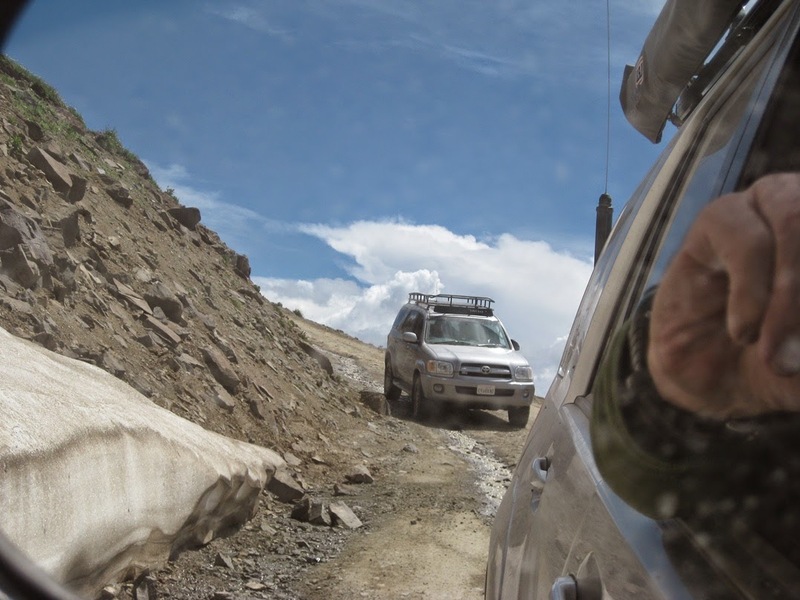 Further exploration brought us to many more of the sights and high points accessed over the steep and winding roads. 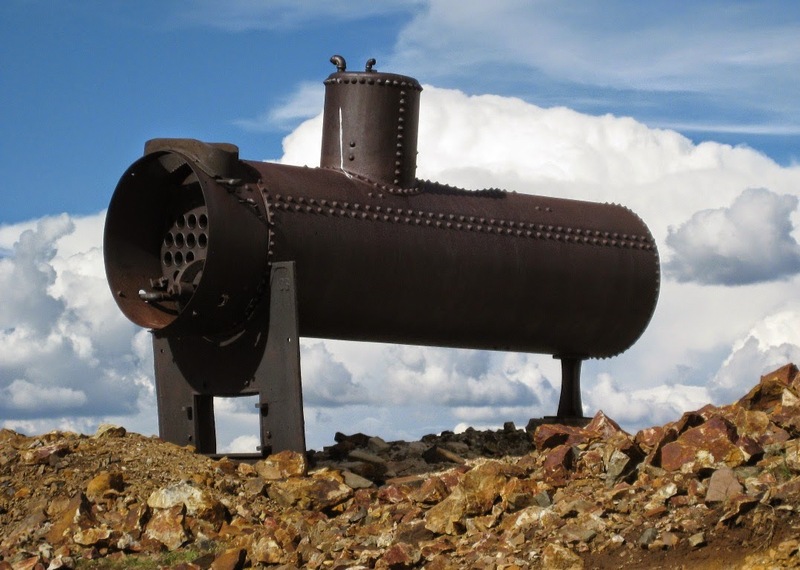 There were also frequent reminders of the hopes and dreams of the mining past. 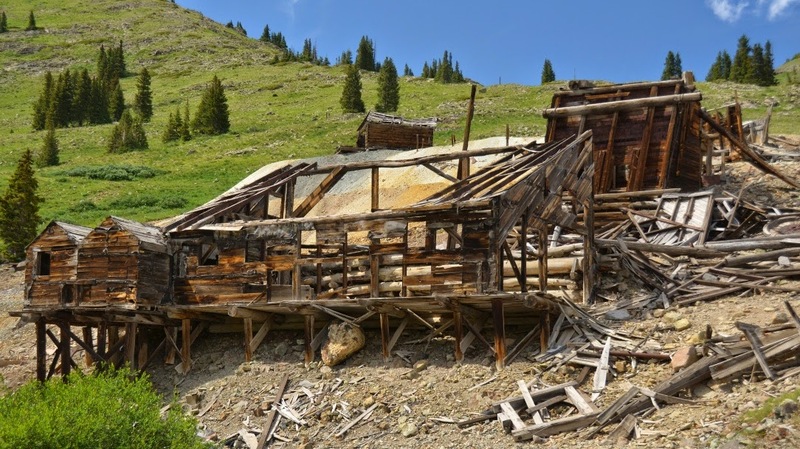 Sometimes varmints of a different feather did not want you to venture too close to their fading dreams. 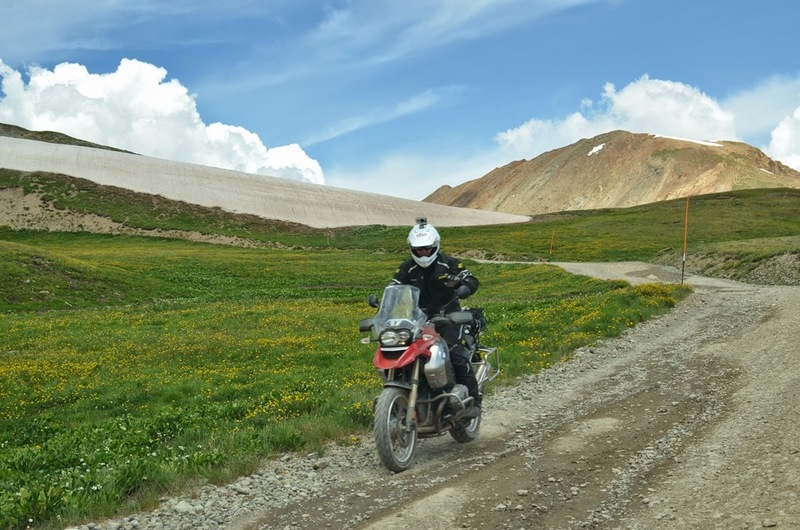 Far easier to head off and explore the high passes and enjoy the wondrous views! 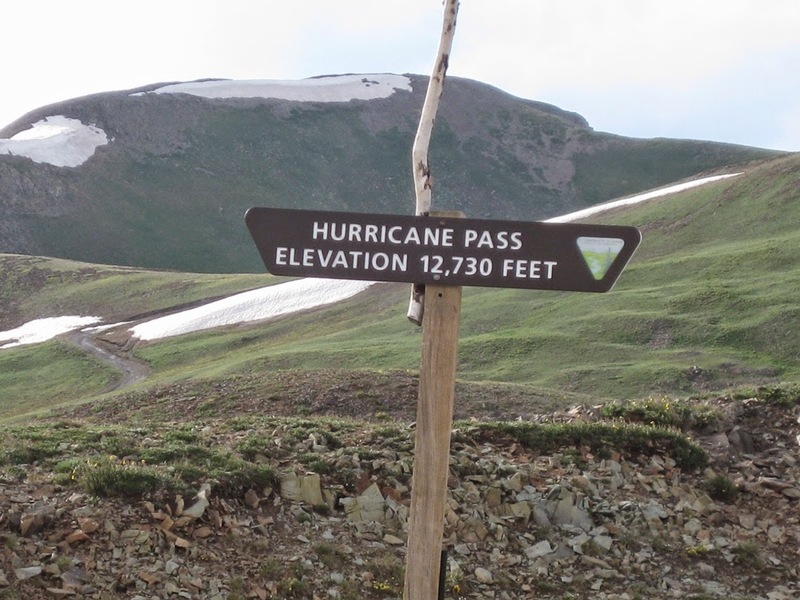 Stormy skies just added to the panorama even if it did bring a threat of rain. 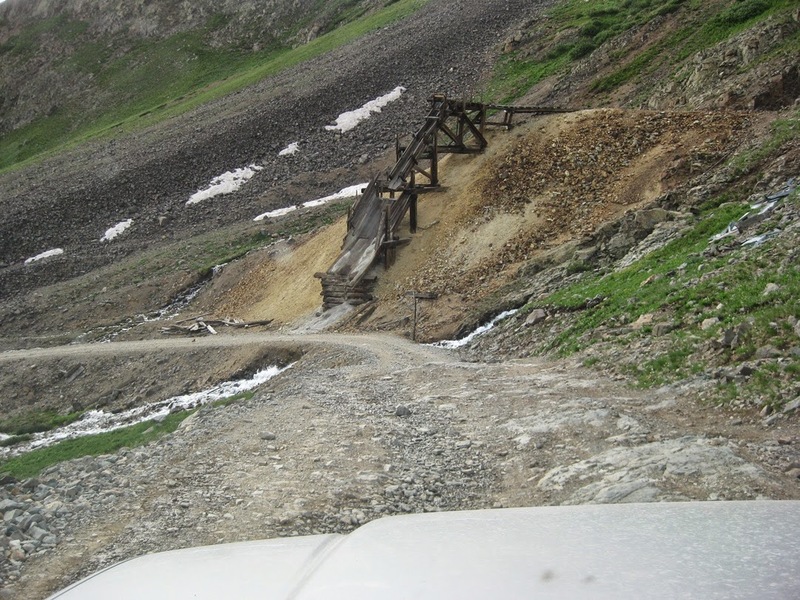 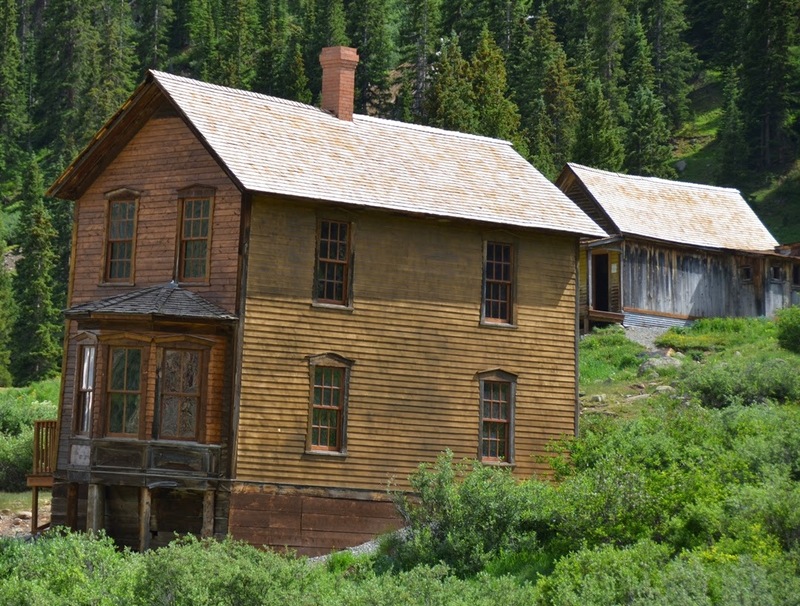 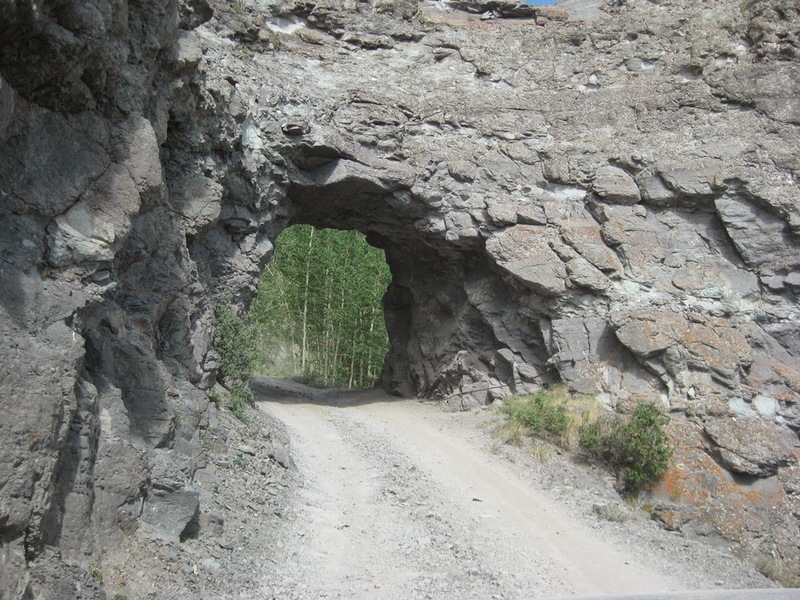 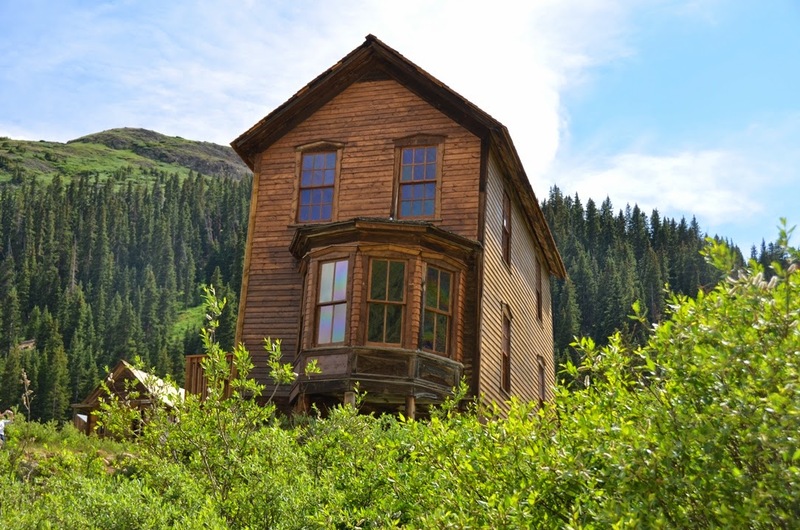 Sometime the journey provided thrilling roads, steep dropoffs and engineering feats such as this road that allowed the stagecoach to connect Telluride and Tomboy. 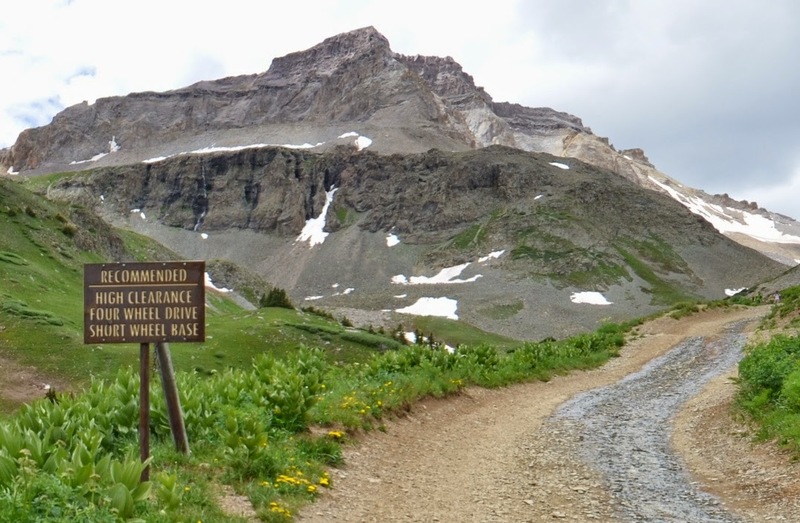 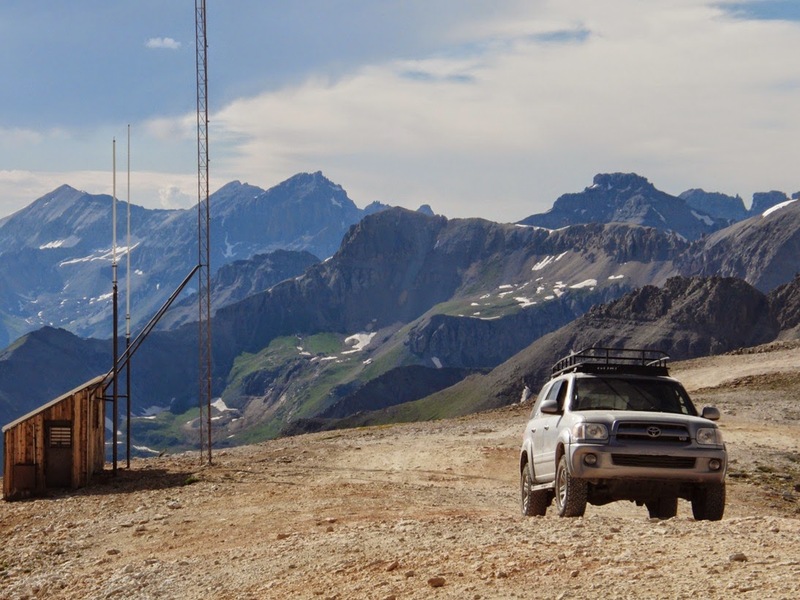 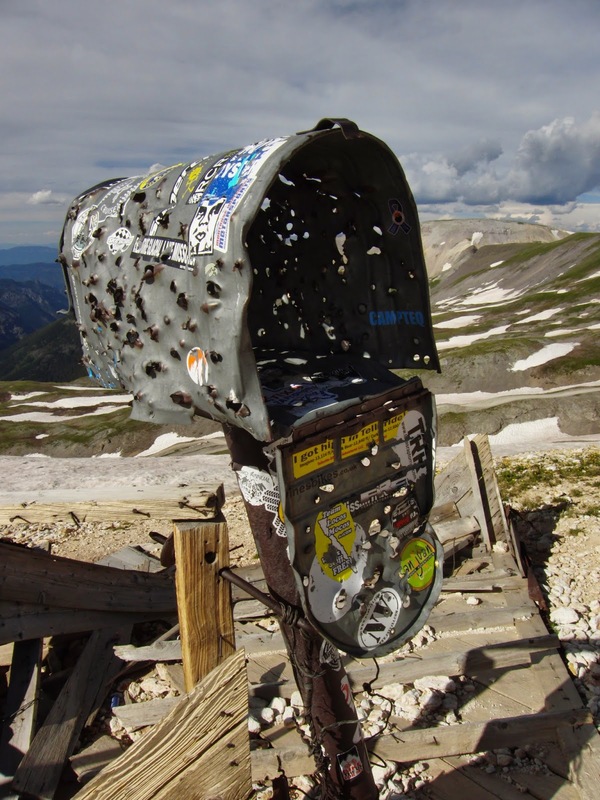 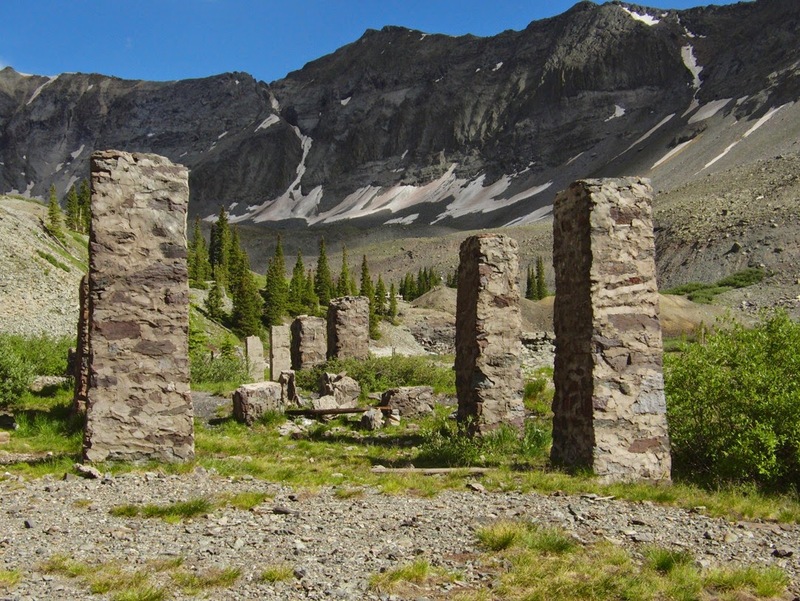 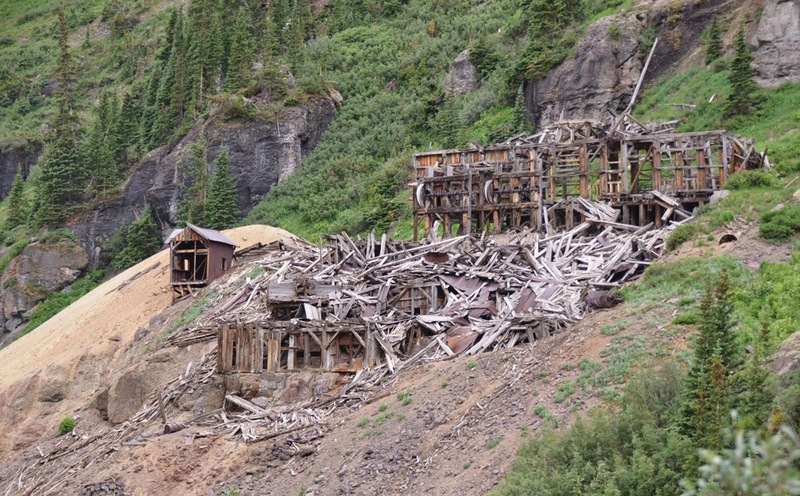 Sometime you would see things that bespoke both whimsy and present a puzzle of just how there came to be a mailbox at Imogene Pass., the second highest vehicular mountain crossing in Colorado. 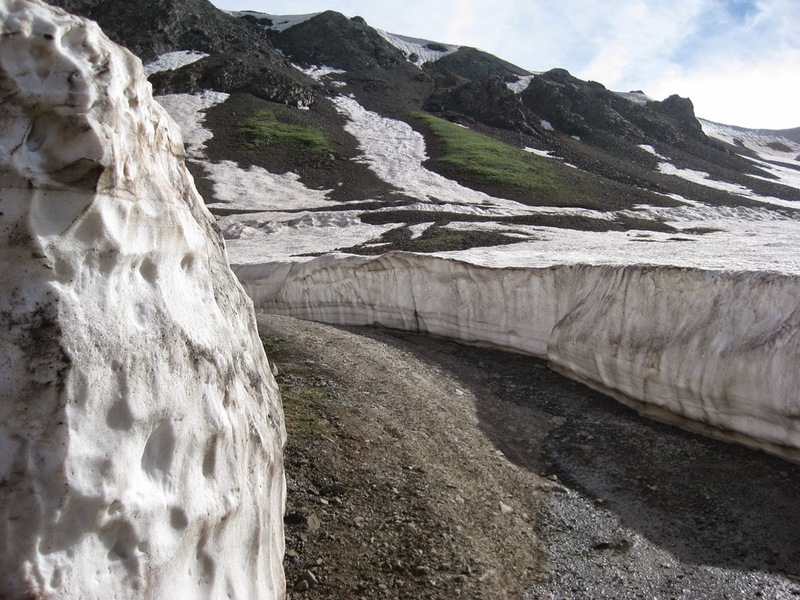 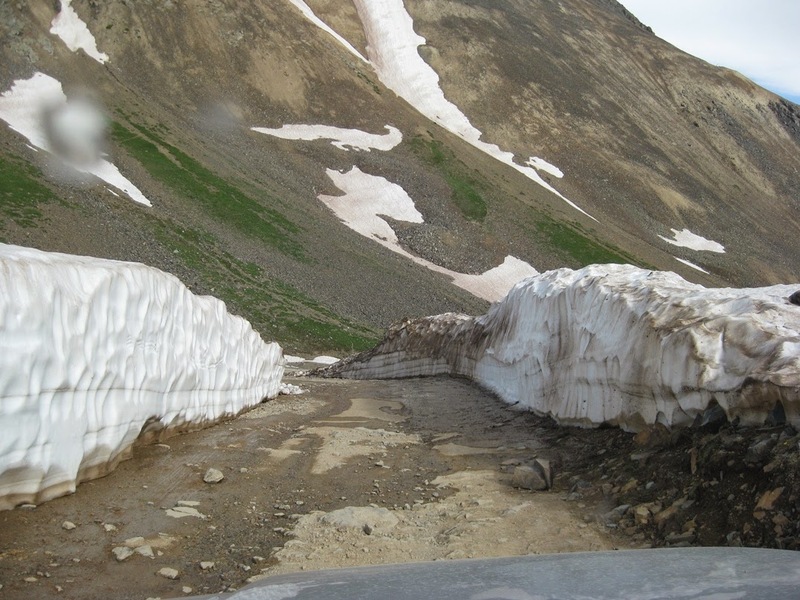 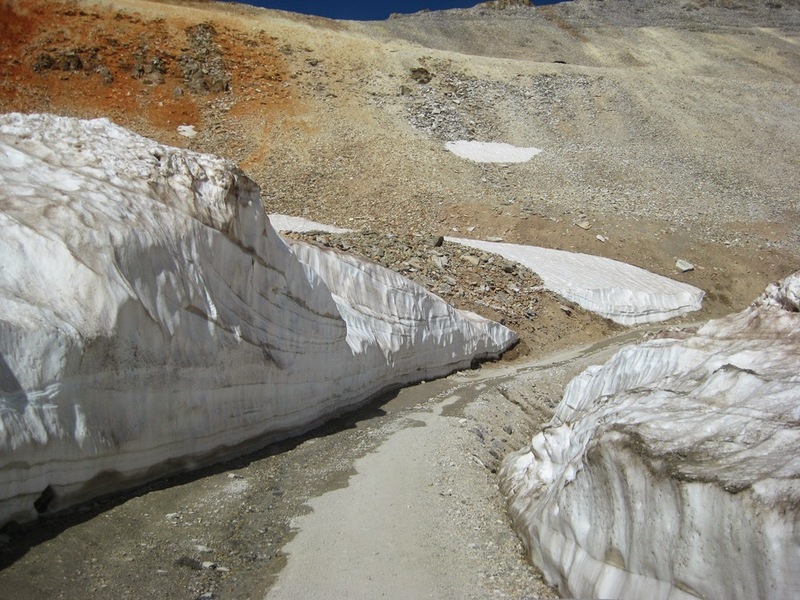 Winter and spring snows block many of the high country roads into July until County crews bulldoze a path for explorers to slip through. 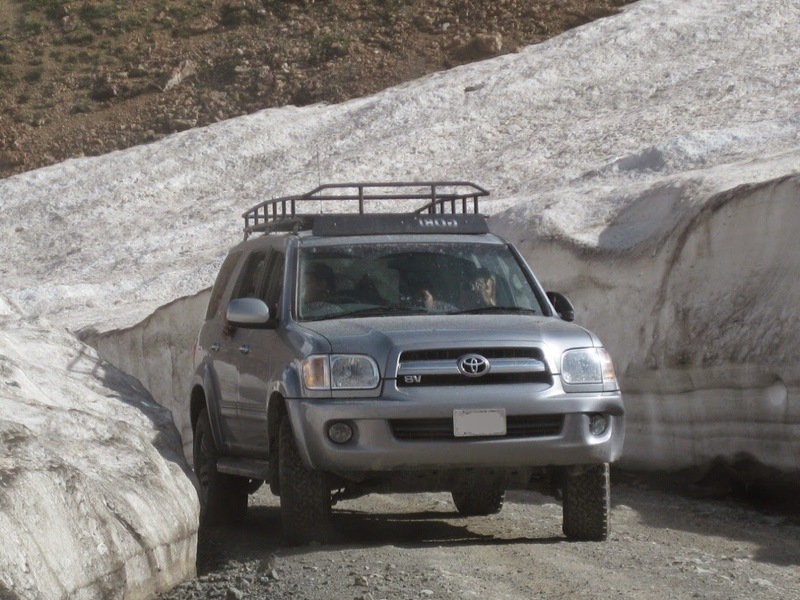 Here are some mirror shots of Norm in his lifted Sequoia following me on a steep snow lined road. 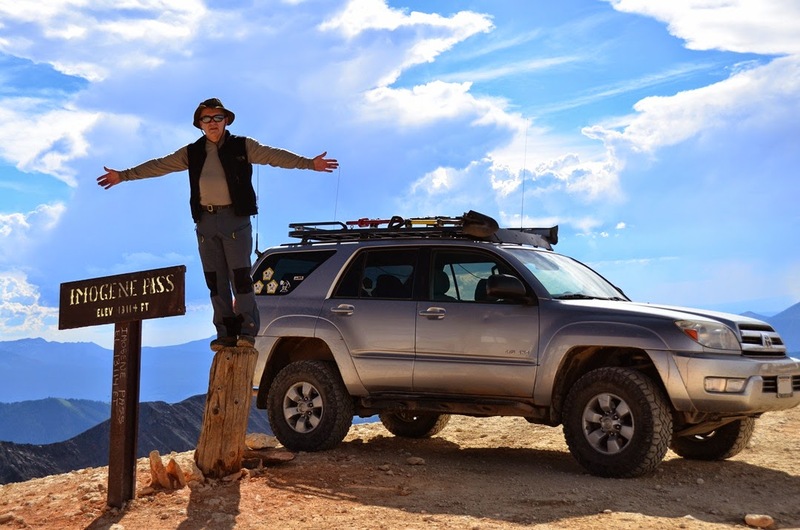 He has a really nice Gobi rack for carrying his extra gear. 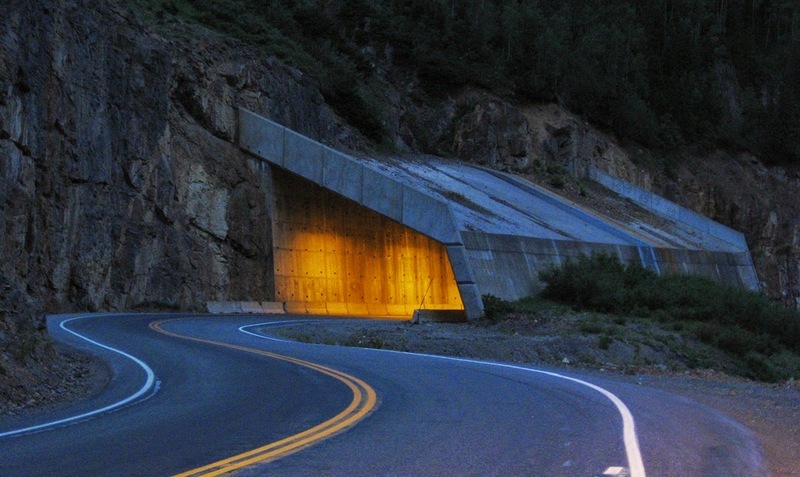 Even on the more benign pavement Colorado built this massive shelter to protect the highway from devastating avalanches that would take drivers' lives and cut off remote towns. 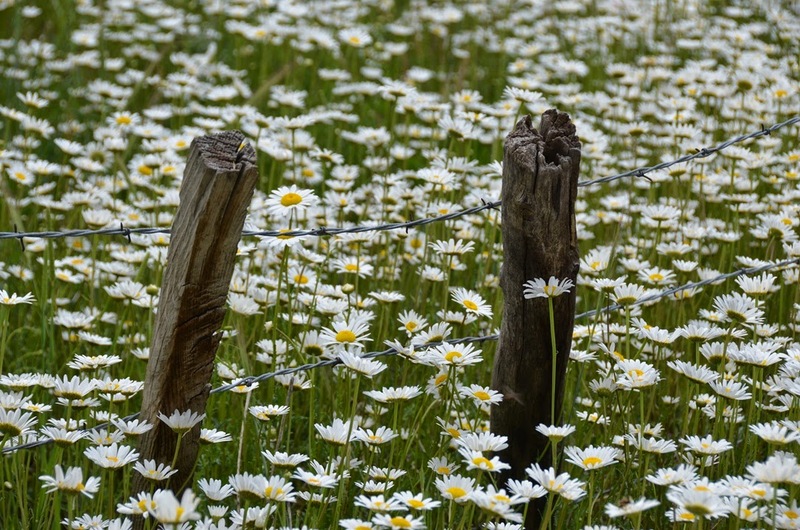 Note to ranchers: Barbed wire cannot stop the wildflowers! 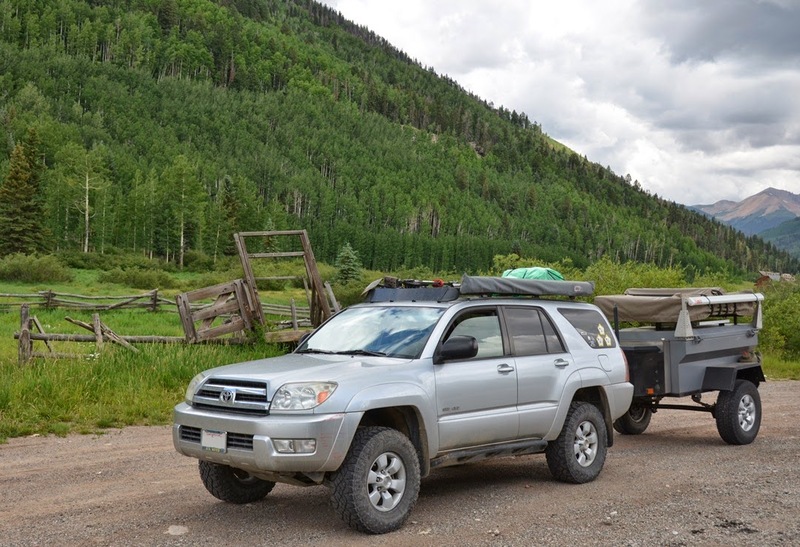 Next thing I knew it was time to hitch up the trailer and head down to Arizona for another adventure! 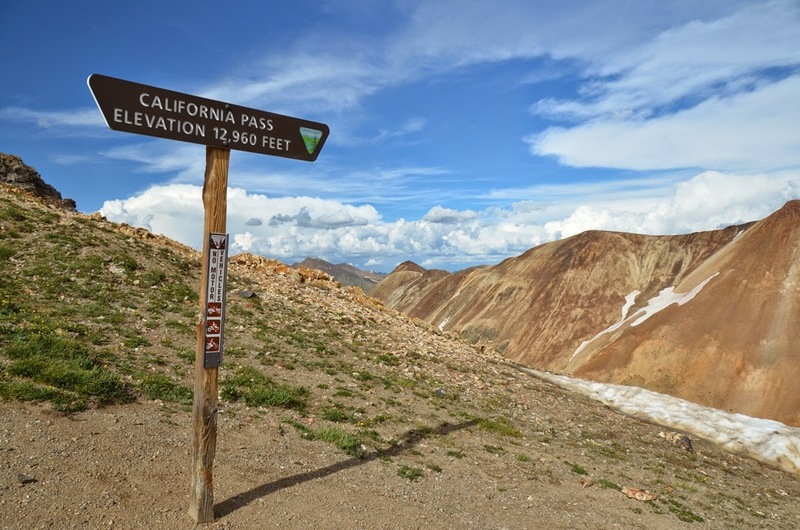 Be sure to read the next installment but until then, keep chasing adventure wherever it may take you.